Definition at line 1926 of file TypeLoc.h. Definition at line 1927 of file TypeLoc.h. 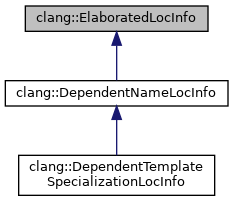 Data associated with the nested-name-specifier location. Definition at line 1930 of file TypeLoc.h.